Clarks kids shoes from Shoes For Kids. Clarks childrens shoes plus Startrite, Buckle My Shoe, Chipmunks, Dinosoles, Macadam, Richter & many other branded children's, boys, girls, baby & toddler shoes. Order online – delivered to your door worldwide! 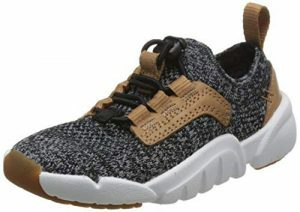 Children’s Shoes – Shoesforkids sell genuine Clarks, Startrite, Buckle My Shoe, Chipmunks, Geox, Disney, Primigi, Chatterbox, Richter, Garvalin, Agatha Ruiz de la Prada & many other branded children’s, boys, girls, baby & toddler shoes. Clarks children’s shoes & many other brands at up to 60% less than retail – and delivered to your door! Shoesforkids is the place to go for Clarks, Startrite, Garvalin, Geox, Chipmunks, Disney, Ricosta, Buckle My Shoe & many other brands for your little ones – check out our feedback. All shoes are brand new and most are supplied in the original box. Why pay exorbitant prices at the shops when we can deliver direct to your door for less! Thank you very much for excellent service! I received the shoes and your gift in perfect condition and right on time. I've used your company several times and can highly recommend it as a reliable supplier of quality children' shoes. In the age of Amazon etc it's refreshing to see businesses like shoesforkids out compete them for value and buying experience. Such an informative website too! Another pair that doesn't disappoint. I don't think I will ned to be shopping anywhere else for my little one's shoes as the prices here are so much more affordable compared to Clarks stores/online. Thanks for prompt delivery too! What a fantastic website! I've just received shoes for my boy within 24 hours of placing the order and saved our family at least £20 for Clarks shoes which I found are the only school shoes that actually last. I will be definitely recommending this site to all mums and dads in desperate need of high quality yet affordable shoes for their little stars. Great work guys! I left school shoe shopping for my son till the last minute. He'd grown a full shoe size and I needed them quickly. I ordered from your eBay shop and within two days they had arrived. Fantastic service and so good to get the Clarks shoes for cheaper than in the shops. Thanks so much! I just wanted to say I have been searching all summer for my son's school shoes and was beginning to give up hope. He has Aspergers and is very particular about his shoes. I am so happy to find the pair he has worn for 2 years in a larger size on your website. We are both looking forward to receiving them hopefully in time for the start of school, Many thanks. I just wanted to say what a fab company speedy efficient and what a bargain. I've ordered many times from you now and you've always delivered ***** star service every time without fail. I've recommended to so many people and will continue to do so. Laura, good morning! I received my order yesterday. Everything is ok, they look even better than the photos show. The delivery was very fast, to be honest, it was a surprise for me. I will follow the product range at your website and I'm sure this purchase is not the last one. Thanks a lot! Just got our second order of infant shoes for our son. Arrived promptly. In good condition and were as described. More importantly great value for money! I have already recommended you to friends and colleagues. Amazing sandals arrived really quick, very pleased will be recommending you to all my mummy friends. Thank you for supplying great shoes at amazing prices! I'm so glad I found your site which offers a great variety of shoes for boys and yes, all year round styles! My 18 month old absolutely loves his new zip up Alfie 'sooz'. I will definitely recommend this site to other parents and I am on my way to browse for summer shoes right now. PS. Your story is also inspirational to a working mum like myself. Keep up the great work! I bought some pairs of shoes in March and the delivery was very fast and the shoes was beautiful and quality. I will definitely order again. I bought a pair of Chipmunk runners through the eBay site. They are fab and were delivered really fast. I am really glad I found this site on eBay as I wasn't aware of this seller before. I will be visiting the homepage going forward to make more purchase. Great site and seller. Great shoes at great prices! Delivery was very quick and communication from the seller is excellent! Will definitely buy from again & have already mentioned the website to some of my friends. Thank you very much for your business! I'm so glad that I found your store. Prices are great and shipping is so fast. Thanks a lot! My family is very grateful to Laura for a quality, beautiful shoes and excellent service! Quick answers by mail, the exact measurements of the insole. You are the best! The shoes came to Russia in 16 days! I'm from Russia! Everyone is very happy! Laura measured the insole for us! All came up! Thank you very much!!! I love love LOVE your business. I have two small ones very close in age (a boy and a girl) their feet are constantly growing so every few months need new shoes. You have such a great range of shoes at the most amazing, affordable prices. I genuinely recommend you to everyone I know each time the kids wear their new shoes. Thank you for setting up such a wonderful business. Just wanted to say parcel arrived safely today. Granddaughter Leah is absolutely chuffed to bits, the school shoes are fabulous, she loves the wellies and the ballet shoes and grandson Jacob's shoes fit well too. Excellent service and I cannot recommend you highly enough. Great prices. Delighted with Geox shoes I ordered and really quick delivery. Hi Laura. Wish I had found your site before. My granddaughter thrilled to bits with her new patent shoes (and they flash ! ) came within the 48 hours stated in the email. Very happy with product and service. Definitely will shop again. Prompt delivery, great price and my little boy loves them. Thanks again. Absolutely superb service - ordered on Sunday, delivered on Wednesday, notifications all the way. Shoes spot on. Will be reordering and recommending! Thank you. Thank you very much. My daughter happy. I am very happy too. Sorry my English. And fast delivery to Russia, only two weeks. I received the shoes today, and I am one very happy customer! I'm also really impressed with such prompt delivery and great customer service so thank you. I look forward to many future purchases with your Company & will be recommending you to my friends! I've been a customer of Shoes for Kids for over a year now. I've recommended the company to loads of friends too. I first heard about it on Radio 2's Steve Wright show after Sarah Willingham recommended it. We measure our children's feet at home and order online. Simple! 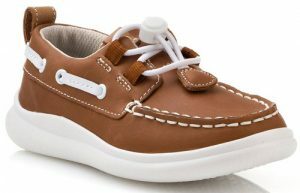 Their new shoes arrive within a couple of days. Can't fault the service given by Laura and her team. Hello everyone I highly and strongly recommend buying shoes from this shop. I ordered 2 pairs of girl shoes Sunday night and Friday morning they were here. Thank you Laura for all the fast responses and your advice on the size (you were soo right!). The customer service is the one that any customer would dream of. The selection for girl shoes is satisfying (oh please think of the parents too in the future!). The shoes were in excellent packing and condition. Not to mention the very good price (I surfed a lot on the internet). I was not joking about parents shoes before:):) Thank you for the shoes and the fast replies! Just purchased my 3rd pair of shoes for my son. Great choice on the website, easy to order, delivered quickly as promised. Excellent company, would highly recommend and will use again. Great quality school shoe which lasts well. Very good service. Helpful and friendly attitude. Individual approach makes you feel especially good. Fast delivery. Good quality shoes. Shoe insoles can be measured, if you want it, which is important.Thanks! This is my lovely shop ! There are most popular European brands you can't find in Australia. And everything have a perfect price. Well done! Wish I had known about this online shop earlier, fantastic bargain for clarks boys school shoes and fantastic service and delivery. So impressed with your service very prompt and efficient! Kept informed of my order and its delivery all the way through and shoes at very reasonable price. Was looking for sandals for my 3 year old but could not bring myself to spend £35 on a pair, but at same time did not want to buy plastic rubbish. So finding a pair of Clarks for £21 was perfect! Wish I'd found your website earlier and will continue to use you. 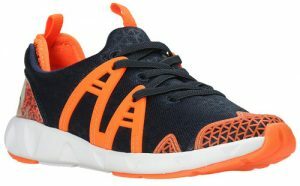 This was my first time ordering with shoes for kids, and I was impressed from the outset! I mistakenly put the wrong street name on my order and emailed to let them know. I received a response almost immediately and delivery was received with the correct street name. The shoes are lovely and fantastic quality! I am really pleased, and shall be recommending your company to my friends! Absolutely delighted with our recent purchase of Chipmunk sandals for our grandson. Excellent quality for the price and great customer service. Looking forward to ordering him some shoes. My kind of shopping, thank you! Received sandals and crocs for my 2 year old daughter today, she's size 4 so it's really hard to find small enough shoes in the shops. Both pairs are great, really good quality and the Petasil sandals are much nicer than anything else I'd seen anyway, really soft and comfortable. She loves them too (phew!). And less than £30 for both pairs, including delivery. Brilliant, thank you. Clarks have stopped making the school shoe my son had last year but I found them on this website, so very happy! Excellent communication and fast delivery. I came across this site looking for bridesmaid shoes for my four year old. I was so impressed with the website and the price of shoes. I purchased two pairs. They arrived promptly. Unfortunately they were too small and were returned and refunded with no quibble. I purchased another pair of shoes, Clarks, that arrived promptly. The communication with Laura by email was very professional. I will be purchasing from here again and will be recommending to friends and family. Thank you for an excellent service. Love, love, love your website! With three little pairs of feet to buy for, you have saved me a fortune over the last 5 years. The Clarks shoes are in perfect condition. Just last years style (we don't care)! They are always just as the picture & description suggest. They arrive swiftly. The delivery cost is very reasonable. The shoes always arrive in perfect condition. The customer service is prompt, polite and reliable. I feel like you are old friends now. When we moved to Denmark for 2 years, you were still able to deliver to us (so reasonable too)! Remarkable. Don't stop! You are FAB! Many thanks from a very grateful customer an 6 happy feet. just purchased from this site two pairs of shoes for my grandson over the moon with the shoes and the service from the company is second to none, would buy again from them and I would well recommend this company to any one. Great service, fast shipping, good quality! I ordered 3 pairs for my little baby boy first time and I will order again and again!!! Thank you! Absolutely delighted with the efficient service and the shoes I've received. I have been looking for a pair of waterproof walking boots for my daughter and been unable to find any small enough (7G), until now! Went to Clarkes to get my daughter measured and some new shoes and she sized at a 7E ( apparently a rare size) they didn't have any in stock except in black nor did either of the 6 stores I could get to. 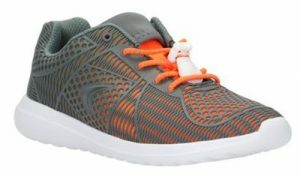 I got told that it was due to back to school season and they could not meet all demands so my two year old would have to go without for another week or two as their Web site hadn't got any in stock either, simply because I don't want to put my daughter in black shoes or trainers until she has to. Upon Googling what I wanted and needed I found this wonderful website and I couldn't be happier. The size is spot on the shipping couldn't be more efficient and the packaging was great even came in a clarks box which I wasn't expecting. I would like to say thank you for the great service that a high street retailer couldn't provide me and my daughter with and for less money too! Thank you! I have bought from this site more than once..I have always been satisfied with the quality of the shoes and the service. Delivers really fast too. A perfect fit, great shoes and fabulous service. I ordered the shoes as a present for my daughter who'd been awarded a 'well done' badge at school for the end of year and everything timed perfectly so we are all very happy indeed!! I haven't bought shoes from you for a year or so, now I don't know why but I have three little girls to cater for and will be back..
Wow! Just purchased a pair of sandals for my daughter and a pair of school shoes for my son. Excellent service, great value for money and fantastic shoes. Thank you shoesforkids..... will be recommending you to all my friends! Brilliant service, quick delivery and great shoes for kids at low prices. Unfortunately I had to return the Camper school shoes I bought for my daughter, since they were a little small and no bigger size was available. Thanks Laura for your friendly and immediate response and the quick refund. Would definitely buy again. Superb shoes, perfect fit for my son - he has wide feet and the description of a G-H width fitting was spot on. Courteous, speedy service. Thanks so much!